Only a few cars deeply stir a true enthusiast's soul; this one tinkers with parts of that soul we didn't know existed. 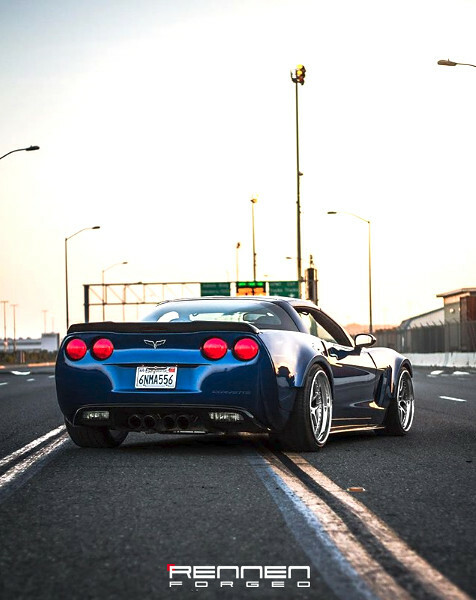 This widebody C6 Corvette can be found speeding down highways and breaking the necks of everyone it passes. 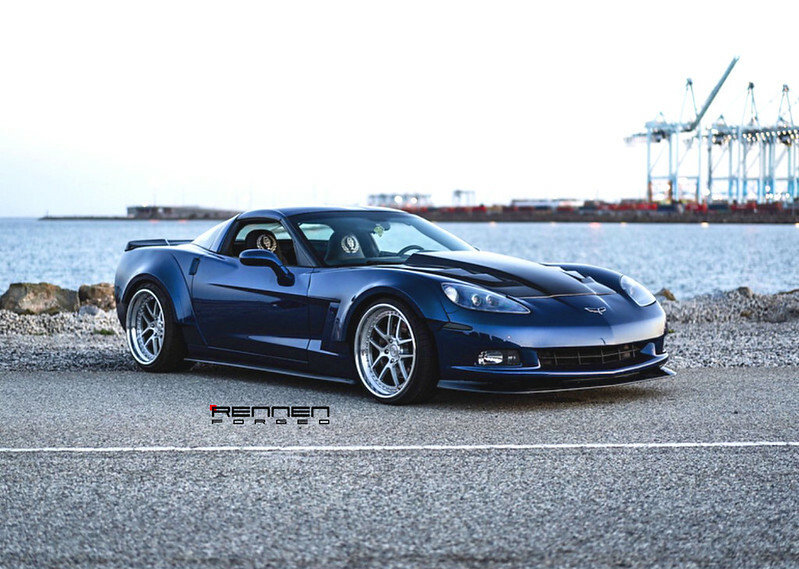 The wheels on this American beauty are Rennen Motorsport MV51 wheels. 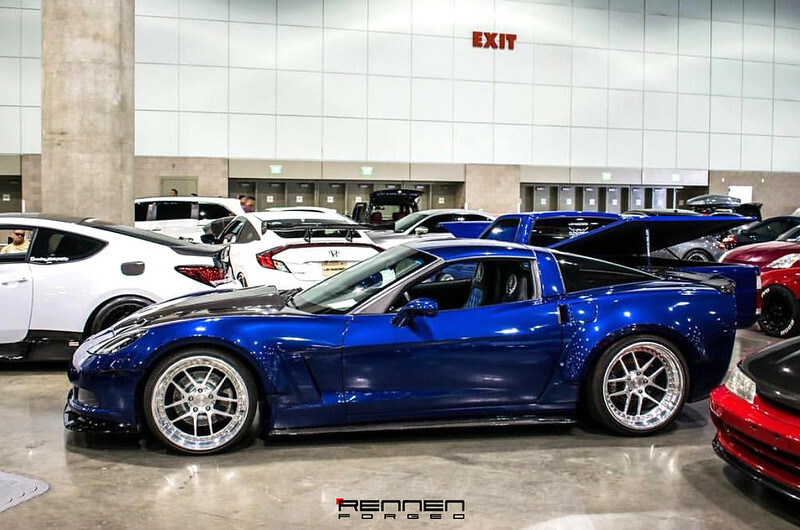 20x10 wheels sit in the front and 20x13 in the rear. High polished finish on the wheels are the perfect complement to the Luxo Blue exterior. 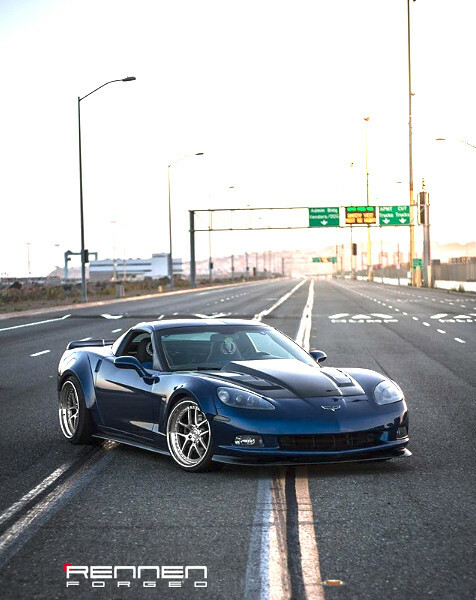 The power plant inside this monster is a 6.0-liter V8 that has been modified to push out over 500 horsepower. 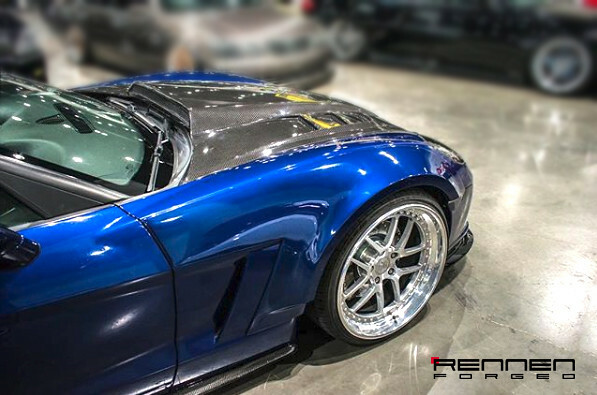 Rennen Forged uses the best quality for their products, using materials that are used in aerospace manufacturing technology; 6061-T6 Aluminum. This allows for the wheels to be extremely durable while still being lightweight. 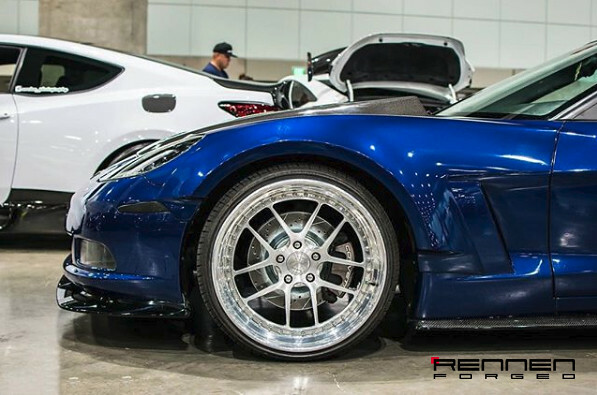 These fully custom wheels manufactured in California have made this vehicle turn even more heads. 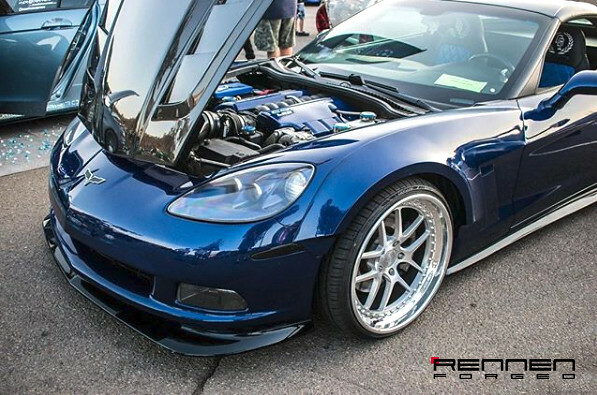 Contact us today to fit the perfect wheels for you.